An artist illustration of the InSight lander on Mars. InSight, short for Interior Exploration using Seismic Investigations, Geodesy and Heat Transport, is designed to look for tectonic activity and meteorite impacts, study how much heat is still flowing through the planet, and track Mars’ wobble as it orbits the sun. While InSight is a Mars mission, it will help answer key questions about the formation of the other rocky planets of the solar system and exoplanets beyond. (NASA/JPL-Caltech). In the known history of our 4.5-billion-year-old solar system, the insides of but one planet have been explored and studied. While there’s a lot left to know about the crust, the mantle and the core of the Earth, there is a large and vibrant field dedicated to that learning. Sometime next month, an extensive survey of the insides of a second solar system planet will begin. That planet is Mars and, assuming safe arrival, the work will start after the InSight lander touches down on November 26. This is not a mission that will produce dazzling images and headlines about the search for life on Mars. But in terms of the hard science it is designed to perform, InSight has the potential to tell us an enormous am0unt about the makeup of Mars, how it formed, and possibly why is it but one-third the size of its terrestrial cousins, Earth and Venus. The goal of InSight is to fill that knowledge gap, helping NASA map out the deep structure of Mars. And along the way, learn about the inferred formation and interiors of exoplanets, too. The lander will touch down at Elysium Planitia, a flat expanse due north of the Curiosity landing site. The destination was selected because it is about as safe as a Mars landing site could be, and InSight did not need to be a more complex site with a compelling surface to explore. By studying the size, thickness, density and overall structure of the Martian core, mantle and crust, as well as the rate at which heat escapes from the planet’s interior, the InSight mission will provide glimpses into the evolutionary processes of all of the rocky planets in the inner solar system. That’s because in terms of fundamental processes that shape planetary formation, Mars is an ideal subject. It is big enough to have undergone the earliest internal heating and differentiation (separation of the crust, mantle and core) processes that shaped the terrestrial planets (Earth, Venus, Mercury, our moon), but small enough to have retained the signature of those processes over the next four billion years. So Mars may contain the most in-depth and accurate record in the solar system of these processes. And because Mars has been less geologically active than the Earth — it does not have plate tectonics, for example — it has retains a more complete evolutionary record in its own basic planetary building blocks. In terms of deep planet geophysics, it is often described as something of a fossil. By using geophysical instruments like those used on Earth, InSight will measure the fingerprints of the processes of terrestrial planet formation, as well as measuring the planet’s “vital signs.” They include the “pulse” (seismology), “temperature” (heat flow probe), and “reflexes” (precision tracking). One promising way InSight will peer into the Martian interior is by studying motion underground — what we know as marsquakes. NASA has not attempted to do this kind of science since the Viking mission. Both Viking landers had their seismometers on top of the spacecraft, where they produced noisy data. InSight’s seismometer will be placed directly on the Martian surface, which will provide much cleaner data. As described by the agency, “NASA have seen a lot of evidence suggesting Mars has quakes. But unlike quakes on Earth, which are mostly caused by tectonic plates moving around, marsquakes would be caused by other types of tectonic activity, such as volcanism and cracks forming in the planet’s crust. “In addition, meteor impacts can create seismic waves, which InSight will try to detect. Scientists think it’s likely they’ll see between a dozen and a hundred marsquakes over the course of two Earth years. The quakes are likely to be no bigger than a 6.0 on the Richter scale, which would be plenty of energy for revealing secrets about the planet’s interior. Another area of scientific interest involves whether or not the core of Mars is liquid. InSight’s Rotation and Interior Structure Experiment, RISE, will help answer that question by tracking the location of the lander to determine just how much Mars’ North Pole wobbles as it orbits the sun. These observations will provide information on the size of Mars’ iron-rich core and will help determine whether the core is liquid. It will also help determine which other elements, besides iron, may be present. The InSight science effort includes a self-hammering heat probe that will burrow down to 16 feet into the Martian soil and will for the first time measure the heat flow from the planet’s interior. Combining the rate of heat flow with other InSight data will reveal how energy within the planet drives changes on the surface. This is especially important in trying to understand the presence and size of some of the solar system’s largest shield volcanoes in the solar system, a region known as Tharsis Mons. Heat escaping from deep within the planet drives the formation of these types of features, as well as many others on rocky planets. InSight is not an astrobiology mission — no searching for life beyond Earth. But it definitely is part of the process by which scientists will learn what planet formation and the dynamics of their interiors says about whether a planet can be home to life. Ambitious climbers, forget Mt. Everest. Dream about Mars. The Red Planet has some of the tallest mountains in the solar system. They include Olympus Mons, a volcano nearly three times the height of Everest. It borders a region called the Tharsis plateau, where three equally awe-inspiring volcanoes dominate the landscape. But what geologic processes created these features on the Martian surface? Scientists have long wondered — and may soon know more. NASA and DLR (German Aerospace Center) plan to take the planet’s temperature for the first time ever, measuring how heat flows out of the planet and drives this inspiring geology. Detecting this escaping heat will be a crucial part of a mission called InSight (Interior Exploration using Seismic Investigations, Geodesy and Heat Transport), managed by NASA’s Jet Propulsion Laboratory in Pasadena, California. InSight will be the first mission to study Mars’ deep interior, using its Heat Flow and Physical Properties Package (HP3) instrument to measure heat as it is conducted from the interior to the planet’s surface. This energy was in part captured when Mars formed more than 4 billion years ago, preserving a record of its creation. That energy is also due to the decay of radioactive elements in the rocky interior. The way heat moves through a planet’s mantle and crust determines what surface features it will have, said Sue Smrekar of JPL, the mission’s deputy principal investigator and the deputy lead for HP3. While scientists have modeled the interior structure of Mars, InSight will provide the first opportunity to find ground truth — by literally looking below the ground. HP3, built and operated by DLR, will be placed on the Martian surface after InSight lands on Nov. 26, 2018. A probe called a mole will pummel the ground, burying itself and dragging a tether behind it. Temperature sensors embedded in this tether will measure the natural internal heat of Mars. That’s no easy task. The mole has to burrow deep enough to escape the wide temperature swings of the Martian surface. Even the spacecraft’s own “body heat” could affect HP3’s super-sensitive readings. In addition to burrowing, the mole will give off heat pulses. Scientists will study how quickly the mole warms the surrounding rock, allowing them to figure out how well heat is conducted by the rock grains at the landing site. Densely packed grains conduct heat better — an important piece of the equation for determining Mars’ internal energy. For an example of planetary heat flow, imagine a pot of water on a stove. As water heats, it expands, becomes less dense, and rises. The cooler, denser water sinks to the bottom, where it heats up. This cycling of cool to hot is called convection. The same thing happens inside a planet, churning rock over millions of years. Just as expanding bubbles can push off a pot lid, volcanoes are lids being blown off the top of a world. They shape a planet’s surface in the process. Most of the atmosphere on rocky planets forms as volcanoes expel gas from deep below. Some of Mars’ biggest dry river beds are believed to have formed when the Tharsis volcanoes spewed gas into the atmosphere. That gas contained water vapor, which cooled into liquid and may have formed the channels surrounding Tharsis. The smaller the planet, the faster it loses its original heat. Since Mars is only one-third the size of Earth, most of its heat was lost early in its history. Most Martian geologic activity, including volcanism, occurred in the planet’s first billion years. NASA’s orbiters have given scientists a “macro” view of the planet, allowing them to study Martian geology from above. HP3will offer a first look at the inside of Mars. What scientists learn during the InSight mission won’t just apply to Mars. It will teach them how all rocky planets formed — including Earth, its Moon and even planets in other solar systems. NASA’s latest mission to Mars begins tomorrow. ESA deep space ground stations in Australia and South America will track the InSight spacecraft on NASA’s behalf as it begins its cruise to the Red Planet. Set to be launched from Vandenburg Air Force Base in California on an Atlas V at 1105 UTC (1305 CEST) on Saturday, InSight will bring a lander to Mars to study its interior, with equipment to measure internal heat and detect ‘marsquakes’. InSight’s 485-million km journey to Mars will take about six months, beginning soon after it separates from its launcher in Earth orbit. 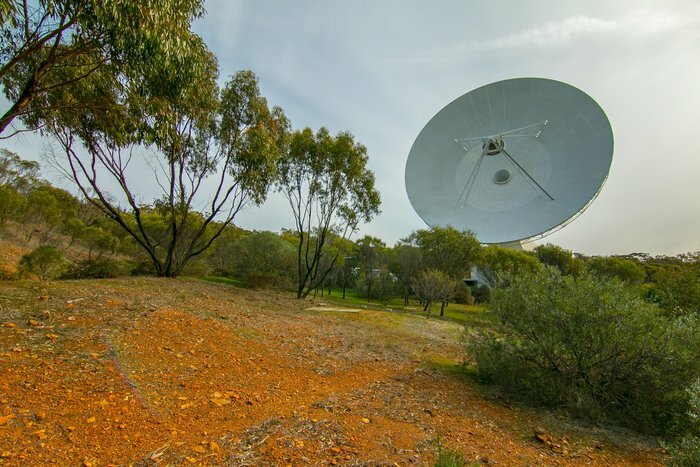 Five hours after launch, ESA’s deep space ground station at New Norcia in Western Australia, will pick up the signal from InSight. It will maintain contact as a ‘hot backup’ at the same time as NASA’s own Deep Space Network ground station at Canberra, over on the easterly side of the continent. Once Canberra loses contact, the 35-m dish antenna at New Norcia will maintain contact with the mission until it vanishes under the horizon. 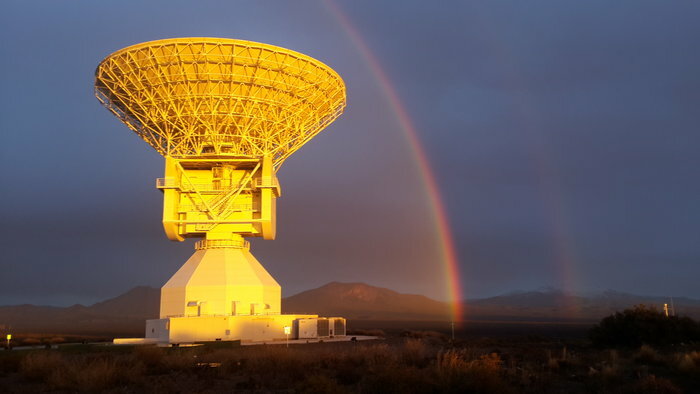 ESA’s second southern-hemisphere deep space ground station at Malargüe in Argentina will pick up the contact two and a half hours after that. “Our stations at New Norcia and Malargüe will allow NASA to keep in touch with InSight during its critically important ‘launch and early operations’ phase, when the spacecraft systems are first turned on and checked,” explains Daniel Firre, the Agency’s ESA-NASA cross-support service manager. “NASA requested this support because at this time of year the southern hemisphere has very good visibility of the trajectory to Mars, and by extension the NASA DSN stations at Madrid and Goldstone have poor visibility to no visibility in the early days after launch, which leaves only its remaining DSN station at Canberra. InSight’s separation from its upper stage and initial determination of its orbital path will be carried out from Goldstone in California. The role of New Norcia and Malargüe will be to monitor the spacecraft as it departs Earth and to receive essential telemetry, allowing the early identification of any possible problems. Should the mission team based at NASA’s Jet Propulsion Laboratory require any corrective telecommands to be uplinked to InSight then they would make a request to ESA’s ESOC European Space Operations Centre in Darmstadt, Germany, which is staffed 24 hrs/day and manages all ESA Estrack stations, including New Norcia and Malargüe. “Our support for InSight extends for the first 30 days after launch, but the period of our ‘critical support’ lasts until 0530 UTC on Sunday,” adds Yves Doat, heading ESA’s Ground Facilities Infrastructure Section. “During the critical phase after launch we will be listening out not for one spacecraft but three,” adds Daniel.“InSight itself is accompanied by a pair of CubeSats called MarCOs, which will be monitoring InSight’s own atmospheric entry, descent and landing to return data direct to Earth as they pass by Mars. After the first month of interplanetary travel, InSight’s will be easier to track from the northern hemisphere, but New Norcia will go on to play a role in monitoring InSight’s landing on 26 November 2018. NASA’s Mars Interior Exploration using Seismic Investigations, Geodesy and Heat Transport (InSight) mission is on a 300-million-mile (483-million-kilometer) trip to Mars to study for the first time what lies deep beneath the surface of the Red Planet. InSight launched at 4:05 a.m. PDT (7:05 a.m. EDT) Saturday from Vandenberg Air Force Base, California. First reports indicate the United Launch Alliance (ULA) Atlas V rocket that carried InSight into space was seen as far south as Carlsbad, California, and as far east as Oracle, Arizona. One person recorded video of the launch from a private aircraft flying along the California coast. Riding the Centaur second stage of the rocket, the spacecraft reached orbit 13 minutes and 16 seconds after launch. Sixty-one minutes later, the Centaur ignited a second time, sending InSight on a trajectory toward the Red Planet. InSight separated from the Centaur about 9 minutes later — 93 minutes after launch — and contacted the spacecraft via NASA’s Deep Space Network at 5:41 a.m. PDT (8:41 a.m. EDT). With its successful launch, NASA’s InSight team now is focusing on the six-month voyage. During the cruise phase of the mission, engineers will check out the spacecraft’s subsystems and science instruments, making sure its solar arrays and antenna are oriented properly, tracking its trajectory and performing maneuvers to keep it on course. InSight is scheduled to land on the Red Planet around 3 p.m. EST (noon PST) Nov. 26, where it will conduct science operations until Nov. 24, 2020, which equates to one year and 40 days on Mars, or nearly two Earth years. “Scientists have been dreaming about doing seismology on Mars for years. In my case, I had that dream 40 years ago as a graduate student, and now that shared dream has been lofted through the clouds and into reality,” said Bruce Banerdt, InSight principal investigator at JPL. The InSight lander will probe and collect data on marsquakes, heat flow from the planet’s interior and the way the planet wobbles, to help scientists understand what makes Mars tick and the processes that shaped the four rocky planets of our inner solar system. Previous missions to Mars investigated the surface history of the Red Planet by examining features like canyons, volcanoes, rocks and soil, but no one has attempted to investigate the planet’s earliest evolution, which can only be found by looking far below the surface. “InSight will help us unlock the mysteries of Mars in a new way, by not just studying the surface of the planet, but by looking deep inside to help us learn about the earliest building blocks of the planet,” said JPL Director Michael Watkins. JPL manages InSight for NASA’s Science Mission Directorate. InSight is part of NASA’s Discovery Program, managed by the agency’s Marshall Space Flight Center in Huntsville, Alabama. The InSight spacecraft, including cruise stage and lander, was built and tested by Lockheed Martin Space in Denver. NASA’s Launch Services Program at the agency’s Kennedy Space Center in Florida is responsible for launch service acquisition, integration, analysis, and launch management. United Launch Alliance of Centennial, Colorado, is NASA’s launch service provider. A number of European partners, including France’s Centre National d’Études Spatiales (CNES) and the German Aerospace Center (DLR), are supporting the InSight mission. CNES provided the Seismic Experiment for Interior Structure (SEIS) instrument, with significant contributions from the Max Planck Institute for Solar System Research (MPS) in Göttingen, Germany. DLR provided the Heat Flow and Physical Properties Package (HP3) instrument. We know what “The Red Planet” looks like from the outside — but what’s going on under the surface of Mars? Find out more in the 60-second video from NASA’s Jet Propulsion Laboratory. NASA has a long and successful track record at Mars. Since 1965, it has flown by, orbited, landed and roved across the surface of the Red Planet. What can InSight — planned for launch in May — do that hasn’t been done before? InSight is the first mission to study the deep interior of Mars. A dictionary definition of “insight” is to see the inner nature of something. InSight (Interior Exploration using Seismic Investigations, Geodesy and Heat Transport) will do just that. InSight will take the “vital signs” of Mars: its pulse (seismology), temperature (heat flow), and its reflexes (radio science). It will be the first thorough check-up since the planet formed 4.5 billion years ago. InSight will teach us about planets like our own. InSight’s team hopes that by studying the deep interior of Mars, we can learn how other rocky planets form. Earth and Mars were molded from the same primordial stuff more than 4 billion years ago, but then became quite different. Why didn’t they share the same fate? When it comes to rocky planets, we’ve only studied one in great detail: Earth. By comparing Earth’s interior to that of Mars, InSight’s team hopes to better understand our solar system. What they learn might even aid the search for Earth-like exoplanets, narrowing down which ones might be able to support life. So while InSight is a Mars mission, it’s also more than a Mars mission. InSight will try to detect marsquakes for the first time. One key way InSight will peer into the Martian interior is by studying motion underground — what we know as marsquakes. NASA has not attempted to do this kind of science since the Viking mission. Both Viking landers had their seismometers on top of the spacecraft, where they produced noisy data. InSight’s seismometer will be placed directly on the Martian surface, which will provide much cleaner data. Scientists have seen a lot of evidence suggesting Mars has quakes. But unlike quakes on Earth, which are mostly caused by tectonic plates moving around, marsquakes would be caused by other types of tectonic activity, such as volcanism and cracks forming in the planet’s crust. In addition, meteor impacts can create seismic waves, which InSight will try to detect. Each marsquake would be like a flashbulb that illuminates the structure of the planet’s interior. By studying how seismic waves pass through the different layers of the planet (the crust, mantle and core), scientists can deduce the depths of these layers and what they’re made of. In this way, seismology is like taking an X-ray of the interior of Mars. All of NASA’s interplanetary launches to date have been from Florida, in part because the physics of launching off the East Coast are better for journeys to other planets. But InSight will break the mold by launching from Vandenberg Air Force Base in California. It will be the first launch to another planet from the West Coast. InSight will ride on top of a powerful Atlas V 401 rocket, which allows for a planetary trajectory to Mars from either coast. Vandenberg was ultimately chosen because it had more availability during InSight’s launch period. A whole new region will get to see an interplanetary launch when InSight rockets into the sky. In a clear, pre-dawn sky, the launch may be visible in California from Santa Maria to San Diego. The rocket that will loft InSight beyond Earth will also launch a separate NASA technology experiment: two mini-spacecraft called Mars Cube One, or MarCO. These briefcase-sized CubeSats will fly on their own path to Mars behind InSight. Their objective is to relay back InSight data as it enters the Martian atmosphere and lands. It will be a first test of miniaturized CubeSat technology at another planet, which researchers hope can offer new capabilities to future missions. If successful, the MarCOs could represent a new kind of data relay to Earth. InSight’s success is independent of its CubeSat tag-alongs. InSight could teach us how Martian volcanoes were formed. Mars is home to some impressive volcanic features. That includes Tharsis — a plateau with some of the biggest volcanoes in the solar system. Heat escaping from deep within the planet drives the formation of these types of features, as well as many others on rocky planets. InSight includes a self-hammering heat probe that will burrow down to 16 feet (5 meters) into the Martian soil to measure the heat flow from the planet’s interior for the first time. Combining the rate of heat flow with other InSight data will reveal how energy within the planet drives changes on the surface. Studying Mars lets us travel to the ancient past. While Earth and Venus have tectonic systems that have destroyed most of the evidence of their early history, much of the Red Planet has remained static for more than 3 billion years. Because Mars is just one-third the size of Earth and Venus, it contains less energy to power the processes that change a planet’s structure. That makes it a fossil planet in many ways, with the secrets of our solar system’s early history locked deep inside.